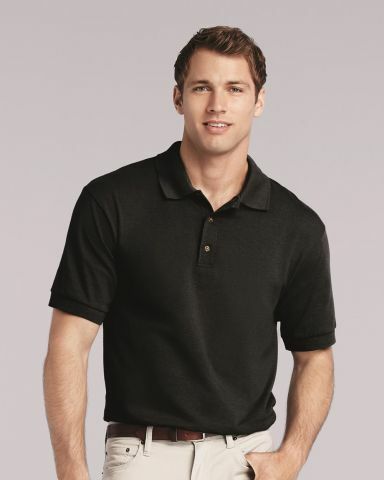 The Gildan 2800 also known as the G280 and the G2800 is a pre-shrunk 100% cotton Jersey Polo with double needle stitching, a welt knit collar and sleeve cuffs, and a wood tone three button shirt. 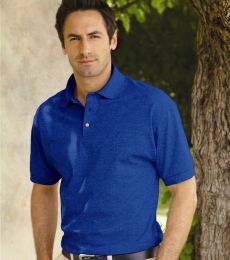 This printable polo is ideal for both embroidery or screen printing and will satisfy those looking for a the perfect cost effective blank polo to screen print or embroider for team events, corporate apparel, or as a colorful wardrobe addition from a trusted consistent blank apparel manufacturer. Note: RS Sport Grey is 90% ring-spun cotton/10% polyester.